Welcome to the Medical Transcription Resume Center! Here you will find resources to put together a strong, relevant, and honest resume. Making a resume when you don't have any medical transcription experience can be a stressful or depressing task. However, it is important that as an aspiring MT, you don’t fall into the temptation to inflate your training or abilities in order to get your foot in the door. A Medical Transcription Supervisor or Editor who hires you will know instantly if you have misrepresented your abilities. In the beginning, you will most likely need the help of a supervisor or mentor, and it would be smart to embrace that fact in your resume, rather than minimize it. There are great resume building sites on the internet that have free resume creation software or templates. Give these a try! Often you will learn something and get some ideas that you had not thought of. 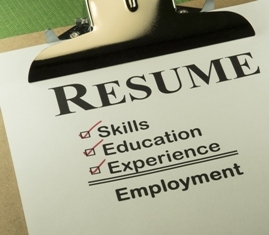 You definitely do not want your resume to look amateurish. Use all the free tools you can find to get professional content and appearance in your resume. Consider hiring someone to design your custom resume for you; it might be worth the money! Whether you hire someone or write your resume yourself, you need to organize your qualifications and information. Before you begin, you have some decisions to make. Are you aiming for a position in a medical facility, or do you want to work from home? Are you applying directly to a doctor's office or to a medical transcription company? Do you want to work part-time or full-time? Are you flexible with the hours you are available? The answers to these questions will change the focus and content of your resume. If you want a part time position, or to work only on weekends, then state that clearly. If you will only accept a full time position, or are not willing to work nights, make sure that is understood to anyone who comes across your resume. Your resume should stand alone, giving all the essential information needed for an employer to decide whether or not to contact you. When you post your resume online, or send it to employers, you want to make sure not to waste your time, or their time, by making them fish for details. If someone is looking for a part-time weekend transcriptionist, and your resume states that this is the time you are available, you are probably going to receive a reply. If you are vague or unclear about your work preferences, it is likely that an employer will not even bother to contact you and will move on to the next resume. If you are new to the industry, keep your resume to 1 page in length. The person in charge of hiring you will be interested in the Big Three areas of interest. What kind of Education did you receive, how much Experience do you have, and with what Equipment are you familiar? Do not include personal information, your hobbies, facts about your family, et cetera. These things can be viewed as "padding" to make your resume seem more substantial than it is and usually is a turn-off to employers. Make sure you include a nice cover letter with every resume you send out. Many resume web-sites have advice on writing a cover letter. Make sure it is complimentary to your resume, using the same font type and size, and also keep it brief and gracious. When you post your resume on job boards there might not be an option to include a cover letter, which is another good reason why your resume should hold all the essentials. Do not depend on the cover letter to complete your resume, but make sure you have a nice one ready to accompany your resume when you send it out. In your resume, clearly and concisely describe your education and training. Hopefully you went with a reputable school that will stand out like a gold star on your resume. List the courses that you took and the grades that you received, if applicable. Do not go overboard here; short and sweet is better than wordy. In the education section, you should include any college degree you hold, but only include individual college courses that you completed if they are related to the industry. In this section, feel free to specify your typing speed and accuracy. Here is where many new MTs want to embellish their resume. It is very important to avoid this temptation in this industry because you will not be able to fake it if you get the job. You should only list the types of notes and specialties that you have studied. You can mention that you are familiar with the different note formats, such as SOAP, operative notes, discharge summaries, H&Ps, et cetera. You can also mention that you have studied various specialties during your training if that is true. Even if you have a very sparse list of experience, stay honest. Be specific about the equipment and software you are familiar with, and what kind of resources you have in your library. If you are good with the internet, mention that you are skilled at using internet resources as well as books to verify dictated information. If you have a medical speller or electronic dictionary and you know how to use them, that is good to mention. If you will be working from home, be sure to list your computer, your internet connection information, the word processing programs you know how to use, your foot pedal, headphones, and other software you use. Do not misrepresent yourself on your resume. If you are lacking in these areas but still want to try and find a job, you might try and approach the position as a “paid internship” or some other position where you will accept a reduction in the usual pay in exchange for the on-the-job training you will be receiving with a review in 3 to 6 months. It is a lot of time and effort to constantly give feedback to another MT, and if you need this level of supervision you should expect a reduction in pay. There are many smaller mom-and-pop type medical transcription businesses that cannot afford to pay veteran MTs, and are happy to give newbies a start in this way. When you are done listing all of the specifics of your Big Three, your resume may still seem pretty flimsy. Instead of padding your resume with large font, unrelated facts, half-truths or lies, embrace and advertise your other qualities that are related to the industry. If you could tell an employer something about yourself, something true of course, that would instantly make them want to hire you, what would it be? Make a commitment to review corrections and notes on your free time in order to improve your efficiency. If you will work from home mention that you are a self-starter or that you can work efficiently without supervision. Don’t forget to mention that you are eager to learn, pick things up quickly, you are a hard worker, enthusiastic and loyal. Overall, only state these things if you are committed to backing them up, and only sell qualities about yourself that are true. Finally, get out there and post your resume everywhere you can find online. Joint MT message boards and forums and ask questions about companies that hire newbies. They are out there! Stay positive, practice every day to keep your skills sharp while you are waiting for your first job, and before you know it you will be a paid medical transcriptionist!